Here’s a good reason you should come to StokerCon this year. 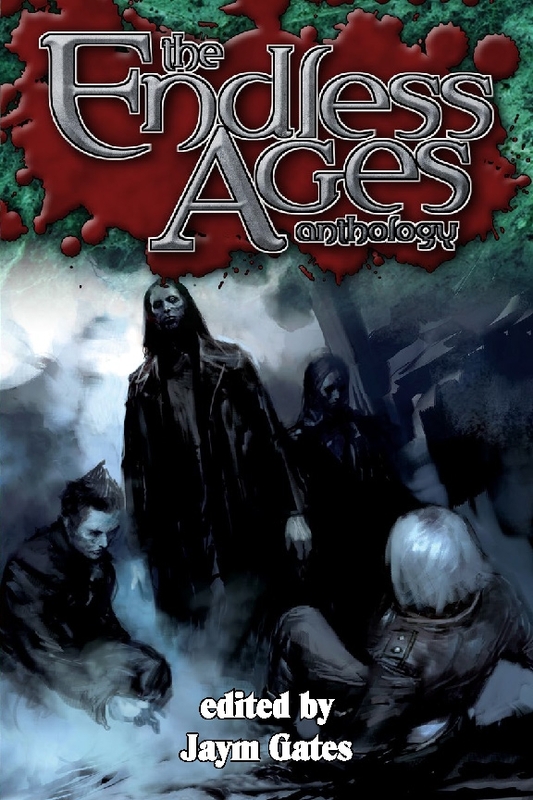 I’ve got a new short story out today in the Vampire “Endless Ages” anthology. Humbled to share a book with such good writers. You can get it here. Bud was a Firesign Theater fan, but I don’t think the title of their album applies here, so I’ve altered it — Bud’s _not_ on his own in the next world; he took the love and respect of a whole lot of people with him as he departed this one. Bud Webster left our world this weekend. To me, he was a giant of counter-culture lore. 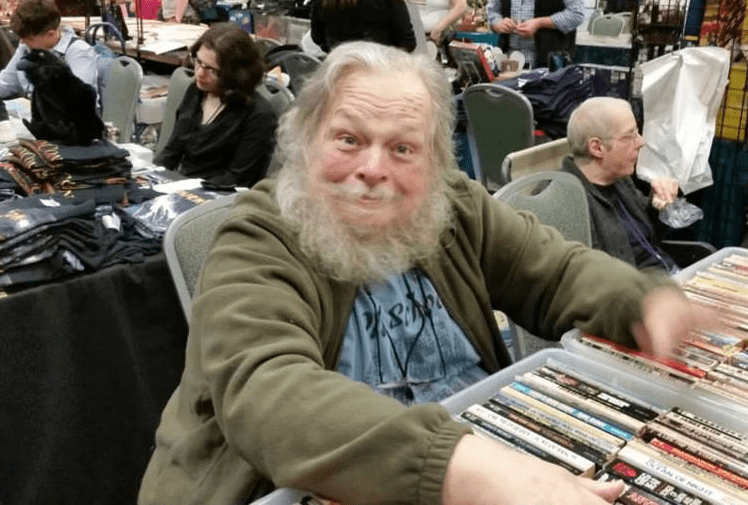 When I first arrived in Richmond, VA, in 1983, a college freshman who knew the world only through comics and sci-fi, Bud was there, a fixture of the scene and a font of wisdom on, well, just about any topic there was, period. He’s most known as a historian of sci-fi, its writers, its paperbacks, and its fandom, but he was also an acknowledged sage about music and — according to the Library of Congress — a go-to expert on Frank Zappa. He was funny — very funny — and witty and a damn good guy to know. I am having trouble imagining the world without him in it. It’d been years since I’d seen him, but I always assumed we’d get together sometime when I passed through Richmond. It won’t happen now, and that makes me sadder than I can express. Bud was foundational in the broadening of my world view. I’d wander into Memory Lane Records and chat, learning not just about odd old albums (did you know Milton Berle did a cover of Yellow Submarine?) but about sci-fi, politics, and the local scene. Later, we finally got him into a game, a fantasy RPG. Of course, he was witty and fun and a center of gravity for our game night. I can’t leave out Mary here. She was among the first people I’d met in Richmond and it was a great pleasure to see her and Bud become a couple — and to have them both at game night. Mary, my heart goes out to you. I miss you; it’s been too long since I’ve seen you. Don’t go anywhere. Every time Bud had a new work published, whether it was a Bubba story in Analog, or a book about Past Masters or vintage paperback collecting, I’d buy it. They were gems, every one of them. I am pleased and beyond proud to claim that I was the first editor to commission and publish a piece of Bud Webster fiction. 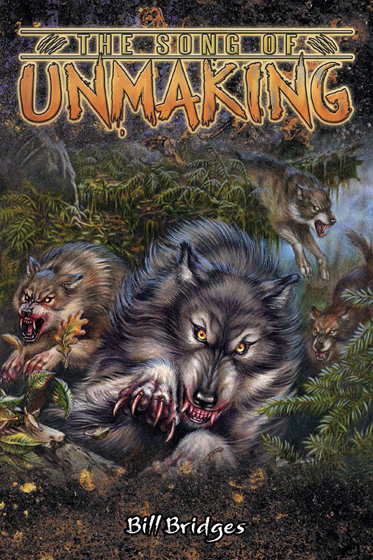 It was a short story about werewolves, part of the Werewolf: the Apocalypse roleplaying game setting, in the book “Drums Around the Fire.” Of course, Bud did the unexpected, and wrote about a werewolf Rabbi. Most expectedly, however, his tale exhibited his great sense of humor. Some of you reading this didn’t know Bud. You are poorer for it. You can read his work, though. Some of it’s online, and you can check out his wikipedia entry for more leads, and some of it’s available on amazon. Goodbye, Bud. Fly, ranger, fly. Warren Ellis begins his email newsletter with a hello from the “Thames Delta.” For some reason, this has driven a handful of his subscribers crazy. Apparently, we cannot enter fully into our decentral, delocalized, non-spatial Internet-only future with any trace of a declaration of space and geography. I guess it stinks of meatspace. So, greetings from the Chattahoochie-Ocmulgee watershed borderland, so-called because I live on the border of these two watersheds. I live on the Ocmulgee side, but routinely cross over to the Chattahoochie side for groceries and just about everything. Beautiful, stunning, awe-inspiring, and adrenaline-triggering: Alfonso Cuaron’s Gravity is all these things. It’s also an elegy for space and a farewell to the dream of human expansion into space. For those reared in the space age, there’s still a romanticism and a hope that our future and our evolution (read: our transcendence) lies in outer space. That age is over. NASA’s shuttles are grounded and there are no public plans for the next step. Robots on Mars are interesting, but don’t engage our full imaginative faculties like a manned mission. Also gone, drifting away from us slowly, just like the old astronauts who are dying one by one, each year of old age (Scott Carpenter just the day before I wrote this), is George Clooney’s character. The last astronaut, a Captain Kirk ladies’ man figure. With him go our dreams of new frontiers. Sandra Bullock doesn’t actually survive — not as the Dr. Stone she was at the start of the film. She undergoes a rebirth. When she enters the ISS and sheds her space suit, she curls into a fetal position, complete with a hose behind her giving the impression of an umbilical cord. But unlike the Star Fetus in 2001: A Space Odyssey, who promised a birth into some new and transcendent form, Bullock’s fetal form is destined not Up but Down. But her infancy is short-lived. Her new mother — the machine — is cold and non-nurturing. Indeed, she’s actually dead in space. Bullock can’t survive here, emotionally or physically. She prepares to die but is jolted back to life by the ghost of the space age. As we all know from Apollo 13, the superpower of the astronaut is ingenuity-in-crisis. George Clooney’s shade (her fantasy of his return) clues Bullock in on what she needs to do: jury rig the tech, humanize it through the human faculty of imagination and foresight. He is able to literally point her in the right direction and give her the kick she needs to leave this already-dead substitute mother. Her new destination, her last hope, is in Descent, falling from the stars, an Icarus whose humility promises to deliver her home: the Chinese space station and its capsule. It is heating up as it begins re-entry, and she must use a fire extinguisher to reach it. Waiting in her escape capsule is the smiling face of the Buddha, a sign that no matter what happens now, she has achieved at least a degree of peace with herself, and a reminder to let go of attachments to the past. She falls and sinks into the ocean, but is nearly drowned by her old skin. She must once more shed her astronaut self — her space suit — to escape its weight (the pull of the past, those wonderful dreams of breaking free from this fragile globe to Find the Father) and emerge, free, into the air, in the arms of the real mother. Not a spiteful, jealous mother angry that her children would try to leave her, but a patient, long-suffering, beautiful (especially when seen from space as the sun rises), life-giving Great Mother, tolerant of all her children’s dreams and folly. Bullock slowly, unsteadily, regains her legs, readjusting to gravity, standing on Earth once more, as the only home where she — and we — can possibly live in an age where the skies are now closed to us, where we are now and forever within gravity’s pull. I posted a bit hastily; I feel I’d be remiss to not elaborate a bit on the motherhood theme as it concerns Bullock’s character directly, since it is the emotional core of the film. Bullock has been betrayed by gravity — it murdered her child. Her daughter fell down and hit her head and died. Now, gravity is the force of attraction exerted by the earth, the Great Mother, in her embrace of her children. This is the dark side of the mother. Bullock freezes up inside and seeks to escape the mother’s embrace in space, where the temperature matches that of her heart and where she can forget her own motherhood. But as she discovers, and as the film specifically tells us in text at the very start, nothing can live in space. Life belongs below, on Earth. Bullock has to reconcile her mother’s grief with her need for life and the Great Mother. It always made me sad that they’d launch Laika up but there without a way to get her back down. The Old Yeller of the space age.